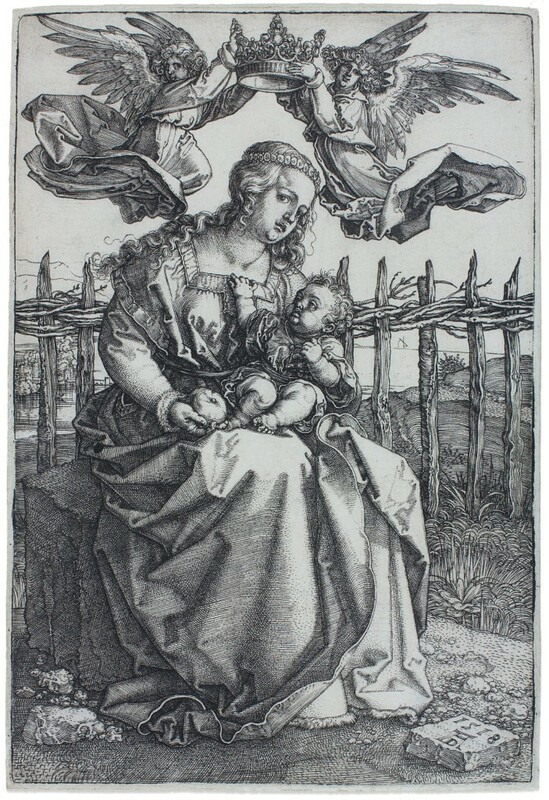 Albrecht Dürer (German, 1471–1528), The Virgin and Child Crowned by Two Angels, 1518, Engraving on paper, Museum purchase: Funds provided by patrons of the 2013 New for the Wall evening. The graphic arts have always held a vital place in the Portland Art Museum’s mission. Now comprising nearly 25,000 sheets, the collection of prints and drawings represents more than half of the Museum’s total holdings. Now on View celebrates recent acquisitions in the graphic arts by highlighting work that has entered the collection since 2009. Spanning over 500 years and featuring work from nearly every continent, the graphic arts collection is among the most diverse at the Museum. Recent acquisitions reflect that diversity, ranging in date from 1511 to 2013. The variety of media is similarly broad and includes woodcuts, engravings, etchings, mezzotints, lithographs, screenprints, and drawings. The majority of the recent acquisitions have been gifts from artists, collectors, and friends of the Museum. Selective purchases have strengthened and refined the collection, adding to the depth and breadth of the graphic arts in Portland. More than 1,100 sheets have entered the collection since 2009; Now on View will highlight work that debuts for the first time at the Museum, including Albrecht Dürer’s engraving The Virgin and Child Crowned by Two Angels, 1518, the New for the Wall winner in 2013. It will be joined by prints and drawings from masters old and new, such as Antonio Canaletto, James Abbott McNeill Whistler, James Ensor, Mark Tobey, and Pat Steir. Northwest artists will be represented by work from Storm Tharp and Rita Robillard, among others. Now on View offers a glimpse into the rich and varied acquisitions since 2009, saluting the collectors, artists, and donors who have made these gifts and purchases possible. Organized by the Portland Art Museum and curated by Mary Weaver Chapin, Ph.D., Curator of Graphic Arts. This exhibition is supported in part by the Vivian and Gordon Gilkey Endowment for Graphic Arts and the Exhibition Series Sponsors.